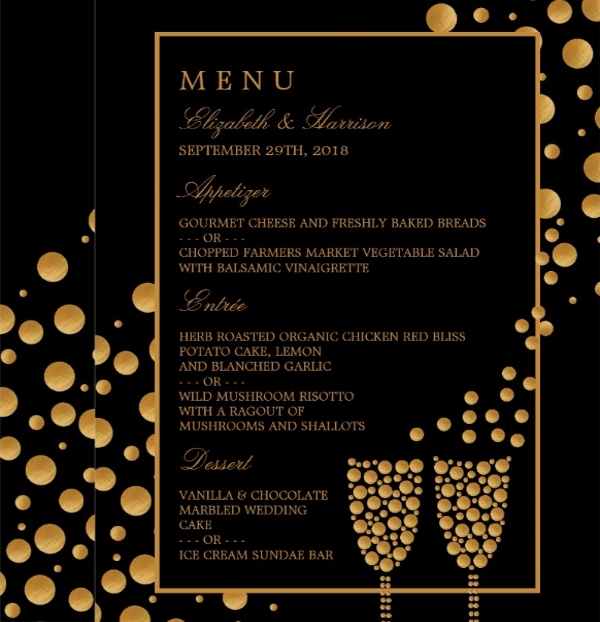 The menu in events is just as important as any other printed material to be given out. It holds the list of dishes and options of sets your guests get to enjoy during the occasion. 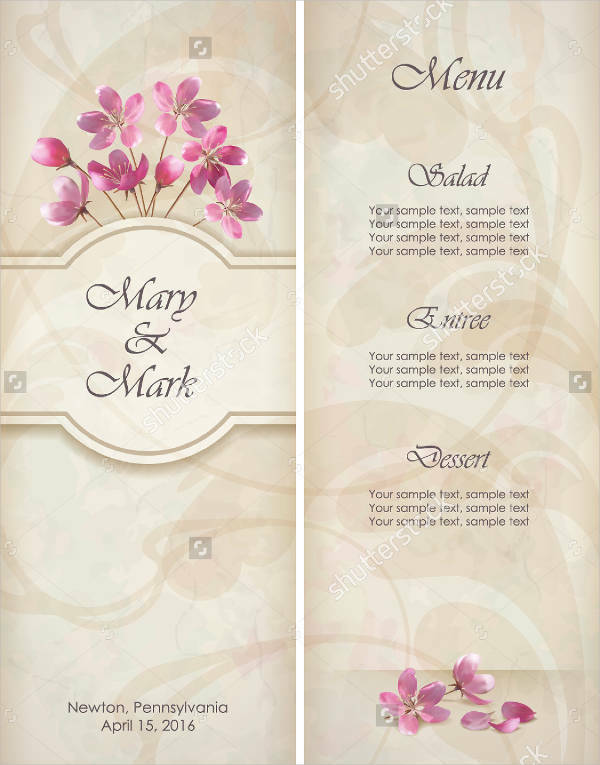 When preparing one, you can look for examples like Wedding Menu Templates, among other templates online to download. 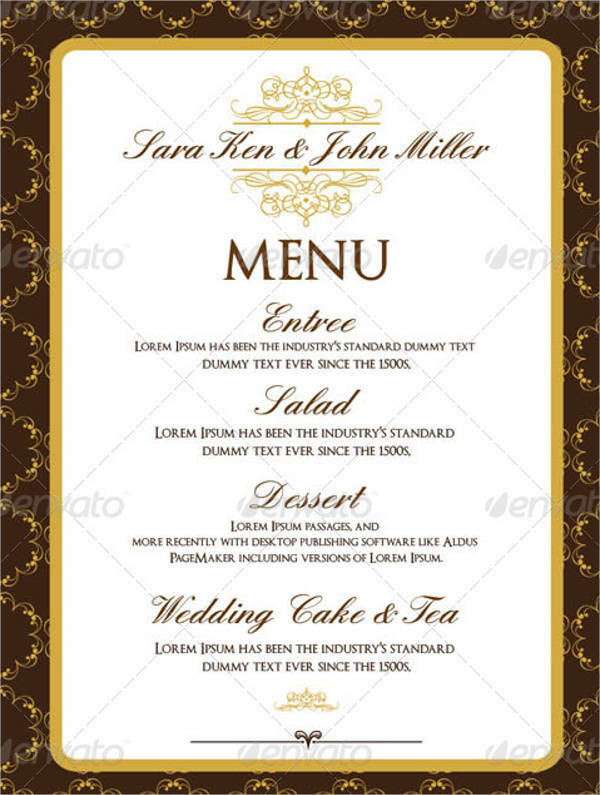 The designs of your menu templates can vary depending on the event you are hosting. 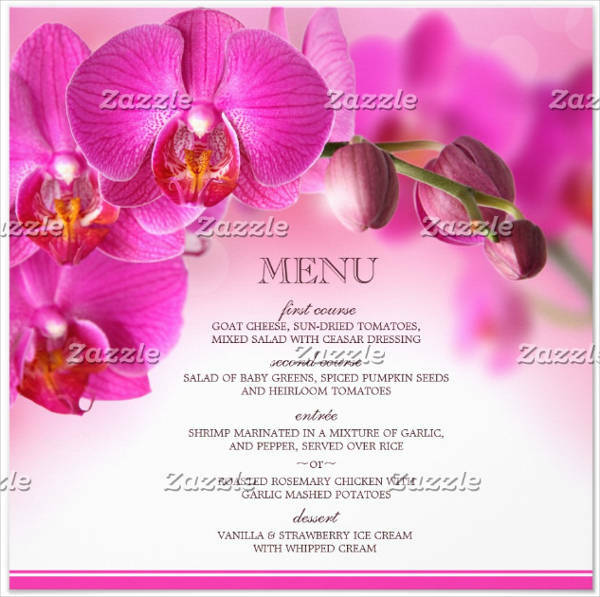 A party menu template usually has the complete list of food and beverages neatly laid out at the center of the card. 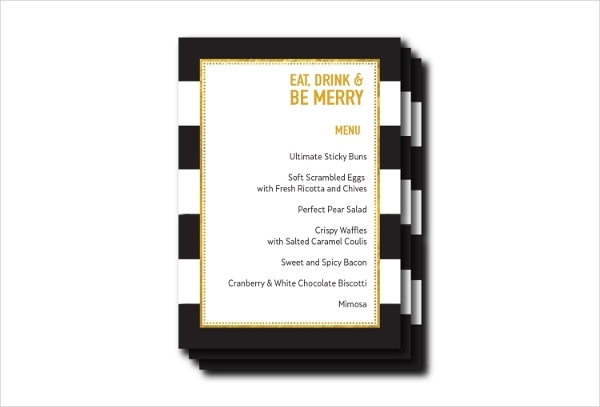 Serve great dishes with the best menu cards in place! Why Make an Event Menu? What food to serve in an event is important and knowing the time when to send them is just as essential. 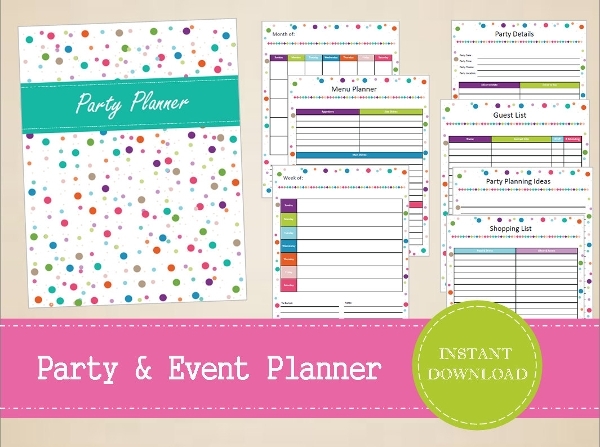 You need all these sorted out ahead of time to keep everything organized on the day of the event. 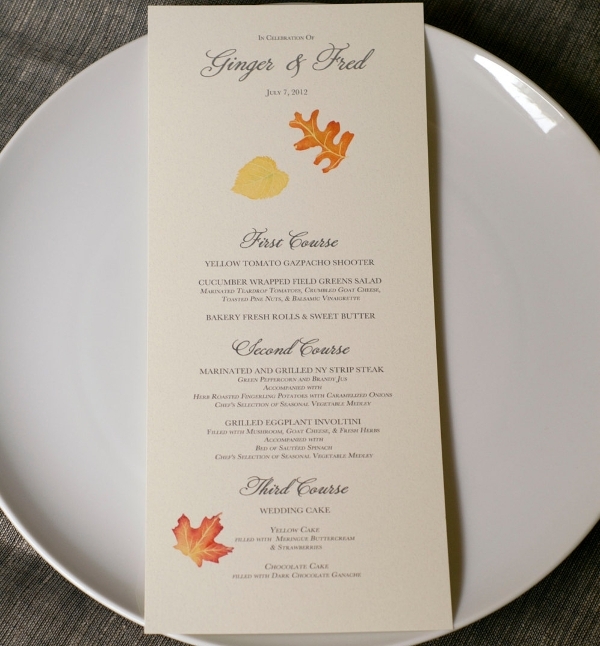 With an event menu, your guests wouldn’t have to approach the servers to know what the food is. Aside from that, they can easily identify the food they can and cannot eat. 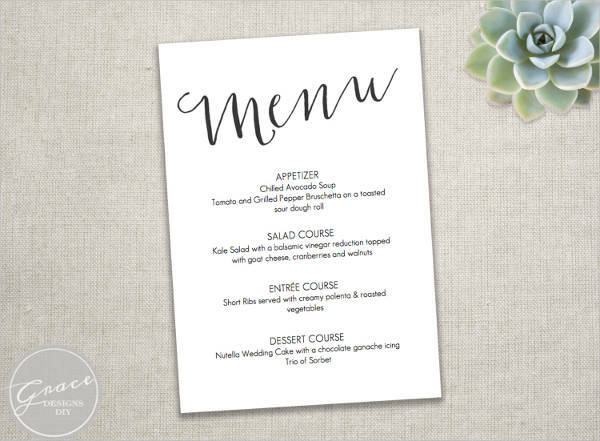 For a catering menu template, your cards are put in front of the buffet to instantly let guests know what to get while waiting for their turn. 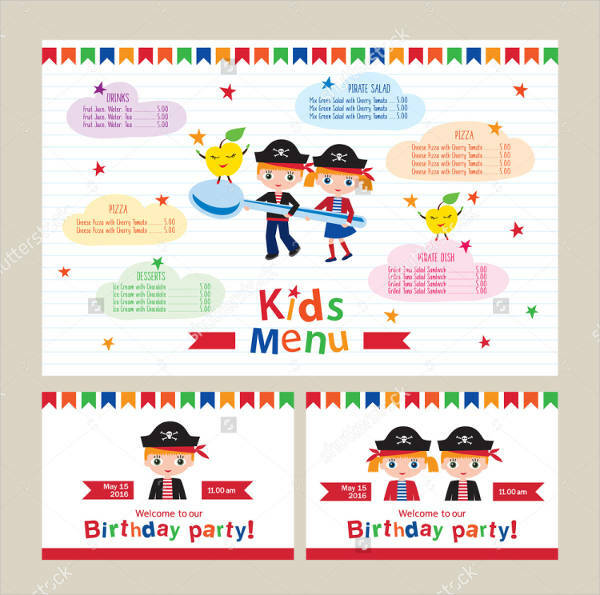 During other occasions such as birthdays, having a birthday menu template will make it easier to facilitate the serving process. 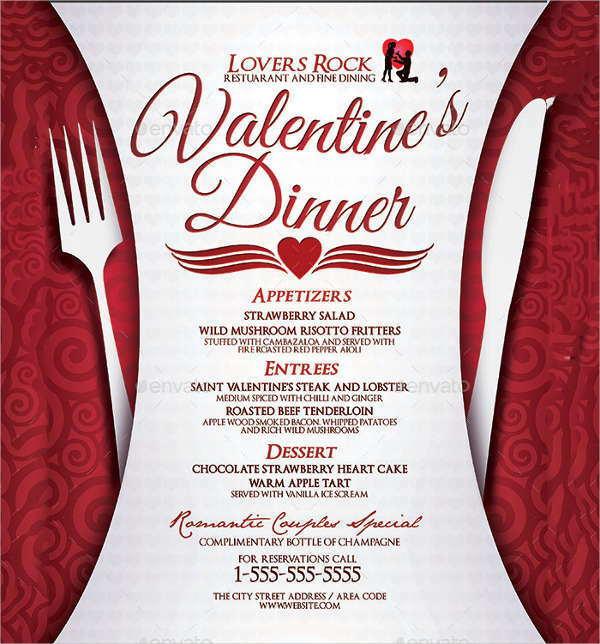 Both guests and servers will know when the food will be served during the program. Though, in lieu of menu cards, a place card can be used as well. 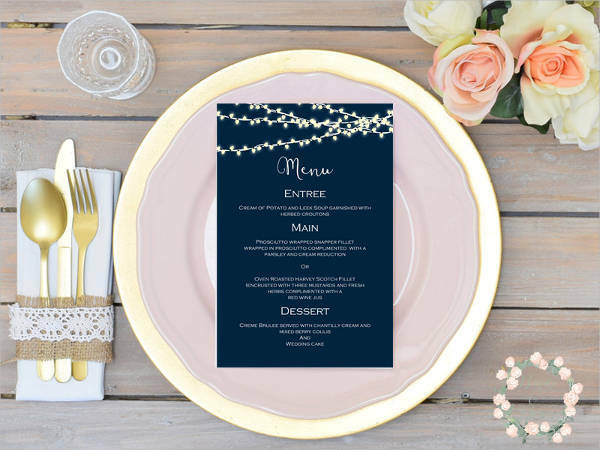 There are plenty of these event menu templates that you can see online and on our website to keep everything in your parties organized. 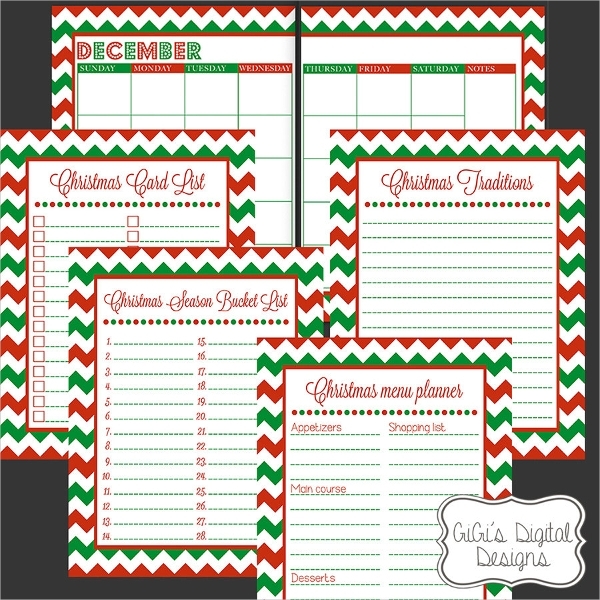 Complete the things you need to prepare quickly using our downloadable designs that you can customize to your liking. Since there are plenty of options you can find online, take the time to compare all your resources. 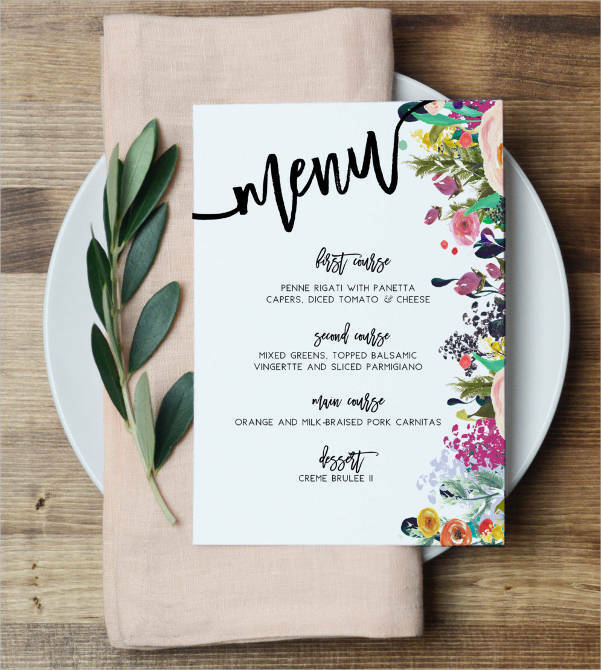 From vintage menu template to engagement party menu template, you have all the options to find the best one for you to use. 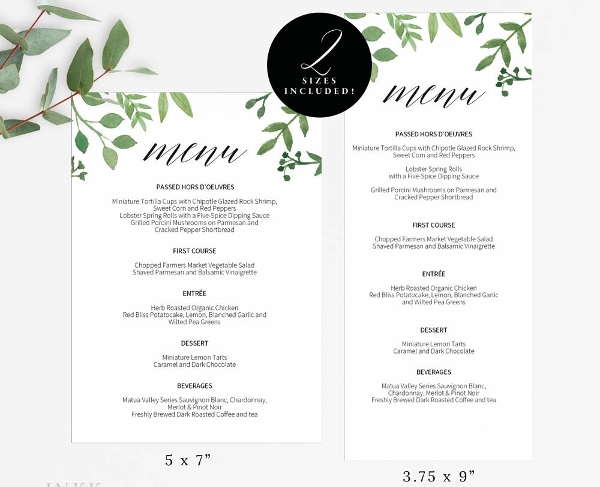 When comparing, think about the space you need, the design that is appropriate, and the overall appearance of the menu card you will use. Once you have narrowed down your choices, you can then select which one to customize. 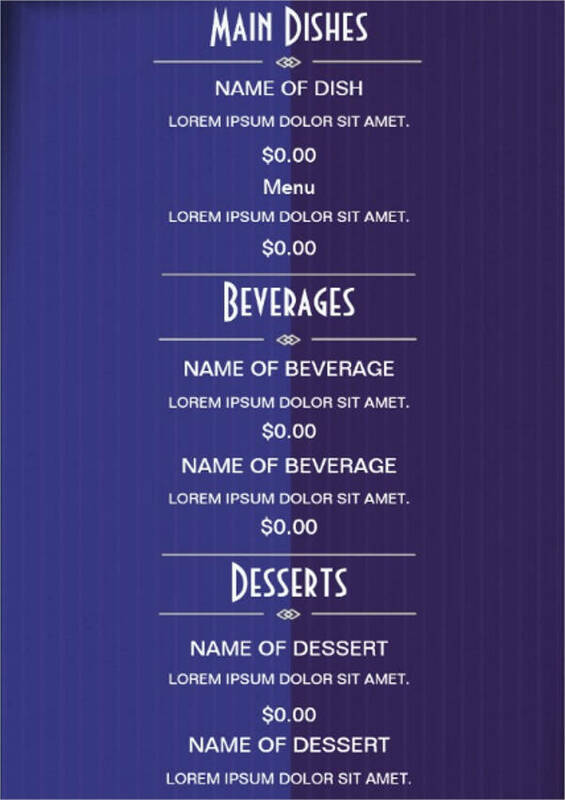 Now that you have your template, the next thing to do is pick out the details you want to add in your menu. Sort out which options you have for your appetizer, salad, entree, side dish, dessert, and beverage. If you are doing a set style menu, choose which dishes should go together in one food group and which ones are for the other options. Also, you have to consider that the food you will be serving will cater to everyone, including those that are sensitive to some ingredients. Be flexible on the dishes you include. The last thing you would want to add is the description of the food items. It doesn’t have to be a complete detail of the ingredients and procedure. You just need the basic things to write since you are planning for a food menu and not a recipe book. Another thing to include is the list of contents that has allergens. Warn your guests of possible allergic triggers to their condition. Lastly, add the time for the food to be served to keep the guests aware. 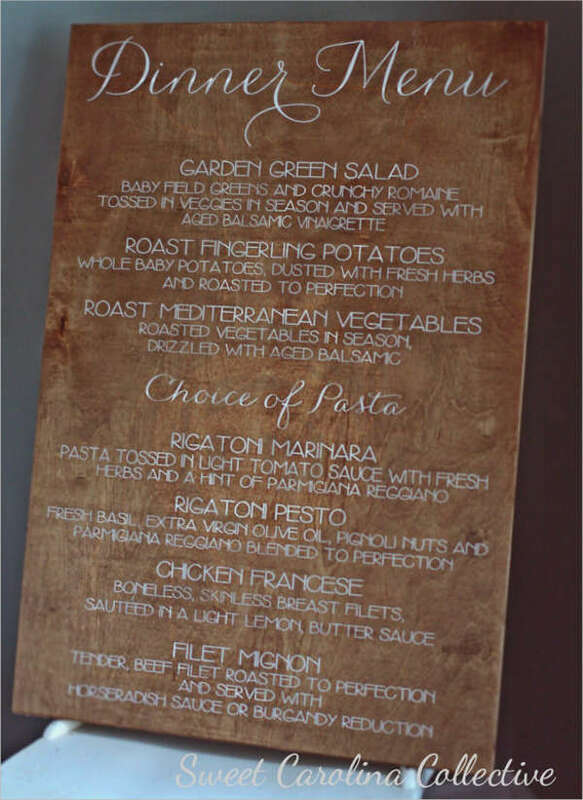 For buffets, you can put your menu cards at the start of the line or in front of each of the dish. 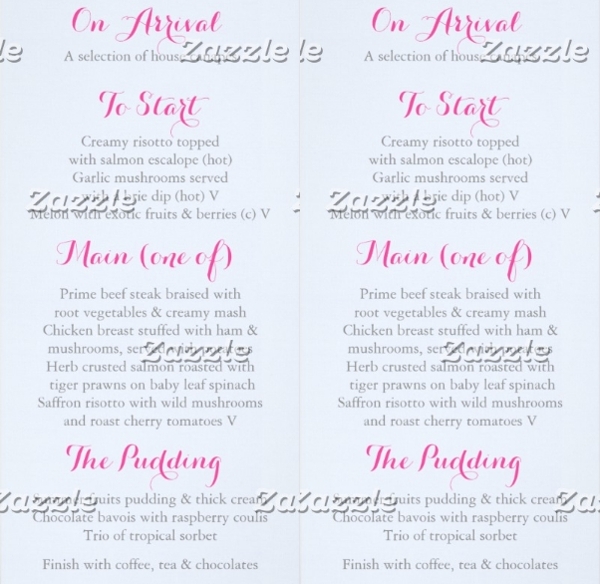 Event Menu Cards: Yay or Nay? Even menu cards have their own pros and cons. It is important to know what they are so you could weigh in if you want to use them. For starters, event menu cards are highly informative. It explains the dishes to guests and does not leave them to question how it was prepared, the ingredients that go into the dish, and other details. 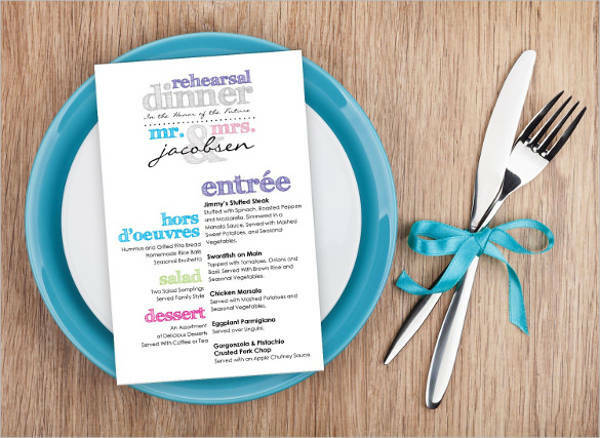 It makes the job easier for you because a definitive menu card leaves the guests with only a few choices. 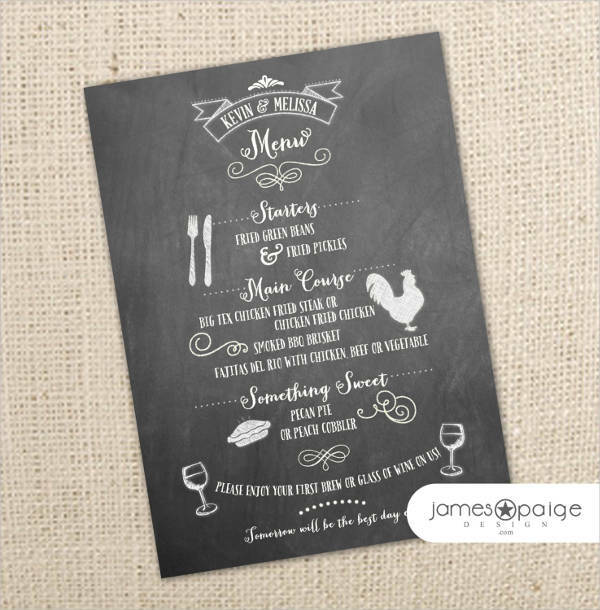 You can use your invitation cards to collect the RSVP by giving your guests a BBQ menu template so they would have some options to choose from. On the other hand, event menu cards are shrugged upon mostly because they are pricey. Given that you are hosting an event, you will be spending money on a lot of things which includes these cards. Without the event cards, you won’t have to spend extra money intended for printing. Another disadvantage of this is that you have to set aside time to complete the layout and to customize the food menu templates. It requires additional effort on your part on top of the preparations you have to do for the event itself. 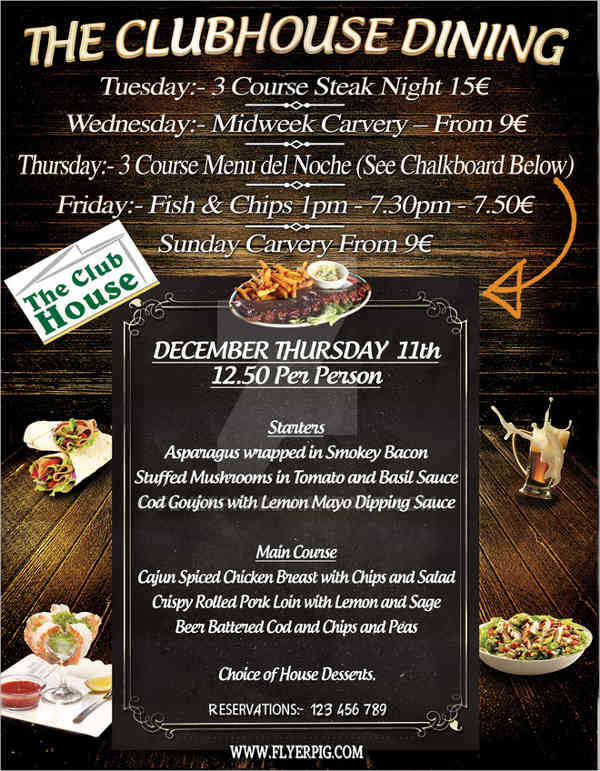 It might be a thought of wonder for you as to what makes each menu different in terms of events and restaurants. 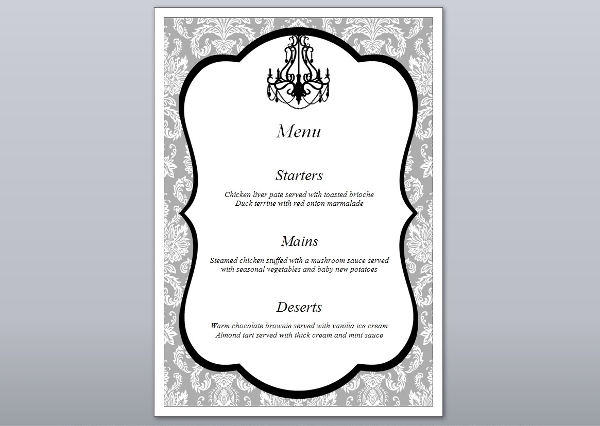 For starters, event menus are used for a single occasion only. 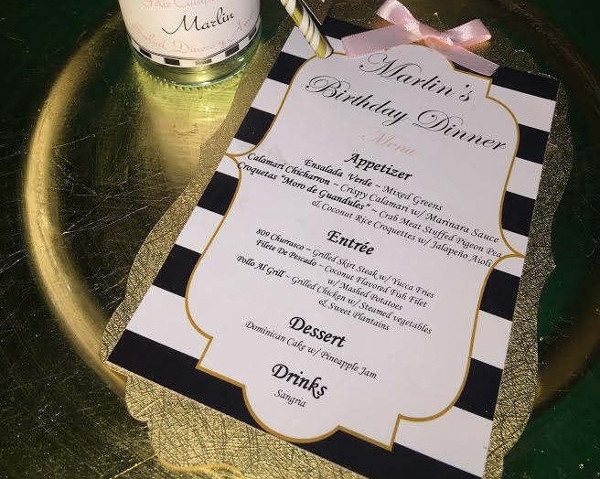 The contents in it — from the design to the food — are limited to what the event is requiring. Aside from that, events menu also don’t usually have pictures. They are restricted to words and descriptions that leave the guests imagining what the dish would look and taste like until it is served in front of them. 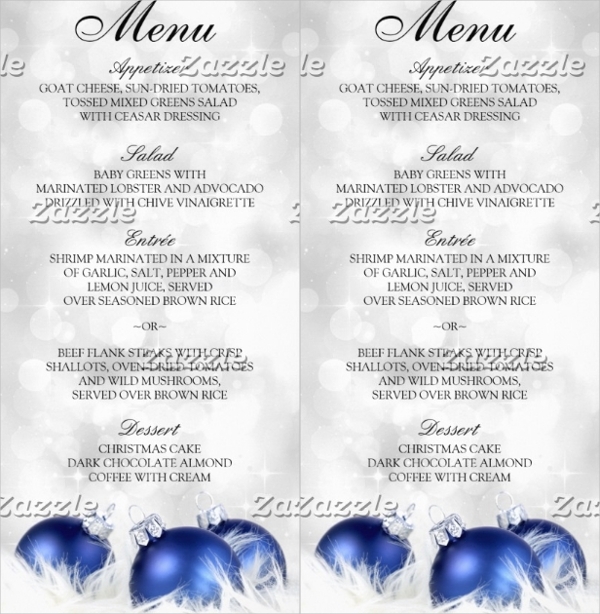 After the event, the holiday party menu template or wedding menu is either thrown away or kept as a souvenir. Restaurant menus, on the other hand, are unchangeable unless the restaurant itself chooses to revamp what they serve. It has a staple content that does not change as time passes. Some menu cards have prices on it while others don’t. Most also have pictures in it to make the dish more inviting for the customers to order. 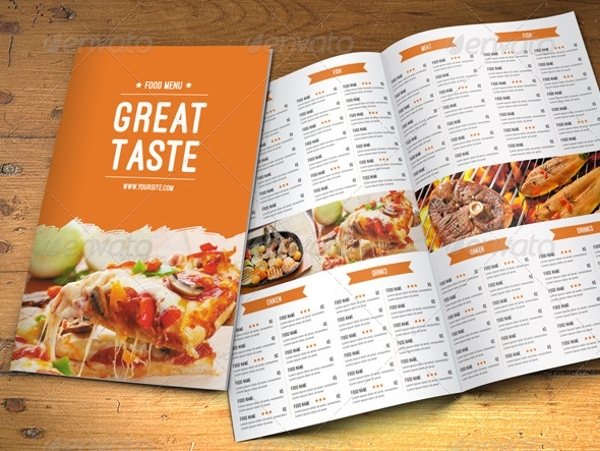 In hindsight, restaurant menus are somewhat advertising materials in a business. At the end of the day, restaurant menus are kept to be given again during the next service.